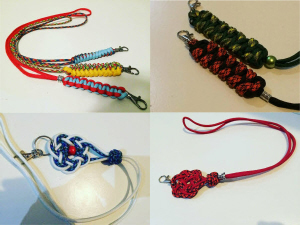 Clicker clips to attach your clicker to a belt or belt loop etc, leaving your hands free. Key clips to attach your house keys to a belt loop whilst out walking the dog. Price £9. 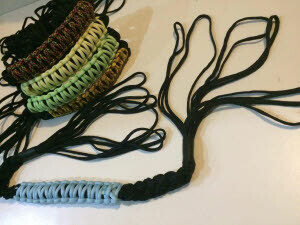 An assortment of colours are available. Please state a first and second choice of colour/colours when ordering. £10 each plus £1.50 postage. 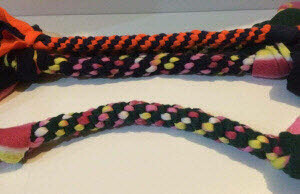 Various styles are available, please state which pattern and colour you prefer and a second preference as back up. You can email Jim via this site with your order. Glow in the dark colours are available in green, blue, white, yellow and pink. The training dummy your dog would choose! It is shaped to mimic both the movement and the feel of game. 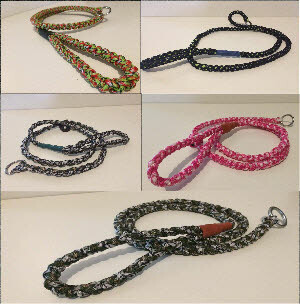 It encourages a soft mouth in the dog’s retrieve and hangs like game when carried by the dog. This prepares the dog for holding and retrieving live game. It can be used to train the retrieve and work on commands such as a stop command ( now used by a number of canine behaviourists) and is particularly useful when controlling the chase instinct. 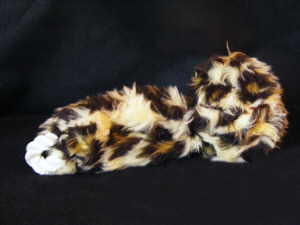 Senior versions contain home tanned rabbit skin to aid in scent work in gun-dogs or ferreting (marking). 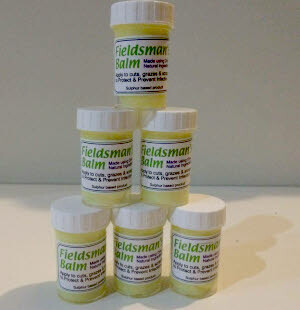 Fieldsman’s Balm is a family recipe that has been used for a number of generations. It is an entirely natural product that can be used on all animals, not exclusive to dogs. It is sulphur based, and has been used since the middle ages to help the healing process. The balm draws out infection, prevents infection and waterproofs the cut, scrape or scratch, allowing it to heal from the inside out. 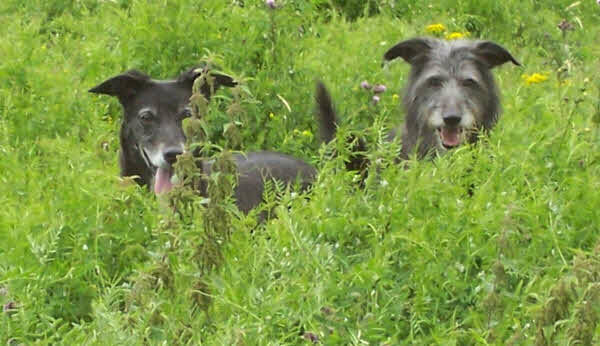 If you have animals of any description, you should not be without Fieldsman’s Balm. It could save you hundreds of pounds in vet bills. 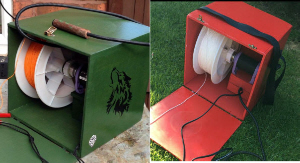 Game carriers are ideal for any country sports person. They will carry 12 of your chosen quarry and are designed to fit unobtrusively into a pocket, so you need never be without it. Carriers will hold rabbit, birds, fish, in fact anything including veg from the garden. 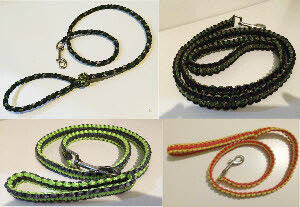 Price £6 incl whistle, £4.50 per lanyard. Please state a colour preference and second choice when ordering. 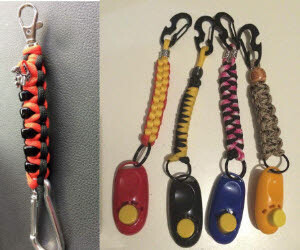 Lure machines made to order. Please email with your choice of colour and a back up choice. 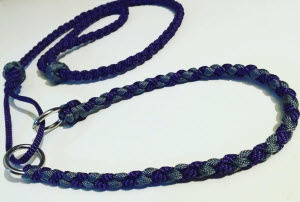 This simple design can be used in combination with a normal collar.It just slips through the collar and with a simple flick of the finger, your dog is released. Used for all dog work where there is a need for a quick release. Tuggy toys for play time. 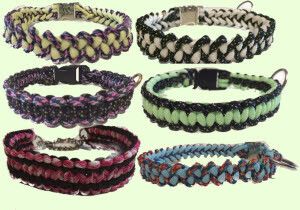 An assortment of colours are available.